Our magical Museum Magnets are refined, elegant, and adorable! 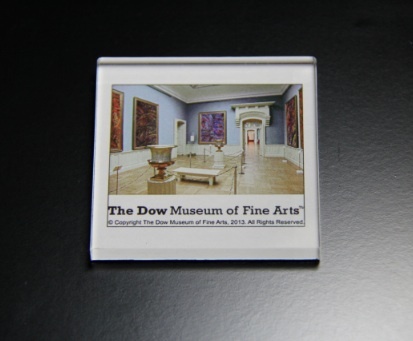 Each darling magnet, features one of our gallery rooms, from our exquisite collections! All of our magnificent museum collections, and exhibits, feature our original fine art paintings! This lovely magnet, is a little piece of heaven, for you to treat yourself; or to treat your loved ones! It makes such a lovely, thoughtful, endearing gift; to be enjoyed and treasured every day! As you practice being present, and being more intentional, in all areas of your daily life; You will see, how it promotes presence, being surrounded by such beautiful things! Every time, you open or close your refrigerator, you can see some of our exquisite masterpieces, and take a moment to enjoy them! A reminder to be fully present; and the power of such a wordless state. A special little gift, that brings such joy, abundance, happiness, love, and magic into your life! Gazing at its enchanting beauty, will tickle your heart, and make you smile, every time you look at it! Our Museum Magnets, are charming and adorable; and make the perfect, sweet little gift, for everyone you know! All of your loved ones, will treasure such a thoughtful gift! Measurements: It’s a 2″ by 2″, cute little square shape. The entire magnet, and even the acrylic covering, are all made in the USA; and of course, all of our original fine art museum paintings, are always masterfully painted right here!